Here's my latest architecture nanoblock creation, the KL Tower =) ... It was built with around 1,000+ bricks and stands at 51cm tall. The Kuala Lumpur Tower is a tall tower located in Kuala Lumpur, Malaysia. Its construction was completed on 1 March 1995. It is used for communication purposes and features an antenna that reaches 421 metres (1,381 feet). The roof of the pod is at 335 metres (1,099 feet). The rest of the tower below has a stairwell and an elevator to reach the upper area, which also contains a revolving restaurant, providing diners with a panoramic view of the city. More info about KL Tower can be found in Wikipedia. 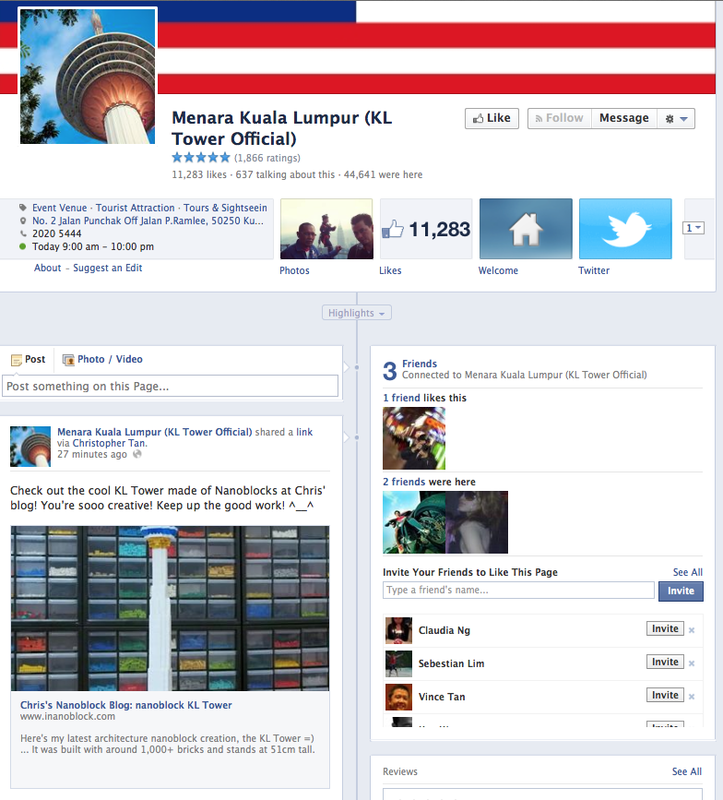 Special thanks to KL Tower for featuring my design on their Facebook page.